Less than a month after Louis J. Freeh began his probe into how Penn State administrators handled reports of child abuse, a senior member of his team hoped state prosecutors would win their case against officials charged with protecting Jerry Sandusky, according to a newly released e-mail. The comment by Freeh investigator Greg Paw was made just hours after the Dec. 16, 2011 preliminary hearing of Gary Schultz and Timothy Curley in Dauphin County court. It congratulated Anthony Sassano, an investigator with the Attorney General’s office, on his earlier testimony at the hearing. The e-mail raises questions about the impartiality of Freeh’s $8.5 million investigation that found Curley and Schultz along with former Penn State president Graham Spanier and football coach Joe Paterno purposefully protected Sandusky for 14 years. It is the first evidence to show that at least one member of Freeh’s team picked sides before discovering the most important documents cited in Freeh’s final report. While it’s unclear if his comment was intended to convey more than passing pleasantries to Sassano, it wasn’t the only time Paw expressed his support for the attorney general’s team. A previously released e-mail captured Paw celebrating Sandusky’s conviction in June 2012. Paw, a former assistant U.S. attorney in Philadelphia, didn’t return an e-mail seeking answers about his e-mail. But it counters Freeh’s stated commitment to conducting his probe objectively. “I am committed to ensuring that our independent investigation be conducted in a thorough, fair, comprehensive manner, leaving no stone unturned, and without any fear or favor,” Freeh said at a press conference announcing his hiring. The e-mail was among five released last week by the Pennsylvania Attorney General’s office after it concluded its effort to recover documents that were deleted. But it withheld an unknown number of other records for unknown reasons. That decision has been appealed. details of a meeting between Freeh investigators and Attorney General agent Robert Sloop during the Dec. 16 preliminary hearing. a request from Paw to Fina for a copy of a filing in Dauphin County court. Great work, Ryan. That e-mail erases any doubt that Freeh’s investigation was biased against PSU officials. 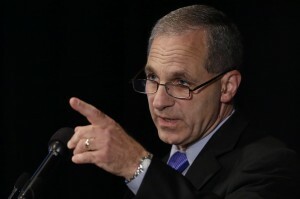 Freeh also promised to come back to Penn State and answer any and all questions. 8.25 million later he laughed himself to the bank. Never returned for the many, many questions he fake report left.